Okay, so they’re stunning AND they’re good for your health. There’s more?! 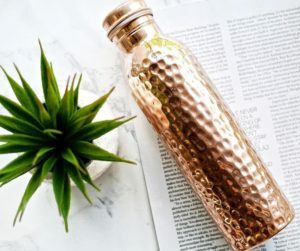 Copper H20 donates 15% of their profits to several non-profit organizations to work to supply clean drinking water in developing countries! We could not resist sharing this product with you! Want to learn more? Check out their website https://www.copperh2o.com/ to learn all about the business initiatives they are taking! Body of Health is a growing vitamin store/wellness clinic that specializes in dispensing professional and retail brand supplements. 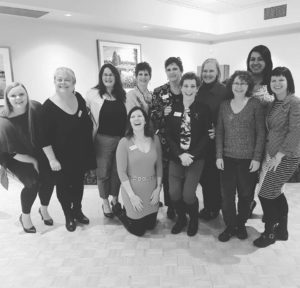 Body of Health has an excellent reputation for our knowledgeable staff as well as providing a high level of customer care and service. We carry natural vitamins, supplements, herbs, homeopathic remedies and a full line of professional products, along with many specialty products. In addition, our clinic provides a variety of holistic services including nutritional consulting, iridology, BIE, food sensitivity testing and more. • A diploma in Holistic Nutrition. This level of knowledge is a must for our store. With the new school year fast approaching it’s time to start thinking about cold and flu prevention for the whole family. At Body of Health we have an outstanding variety of adult and kid friendly immune boosting supplements on sale now! Drop in and let our professional and friendly staff help you choose the right essentials for your loved ones today. These easy-to-make snacks are packed with protein and fiber. In a food processor, finely grind the almonds. Add the dates, cranberries and ginger and pulse a few times to break everything down. Add the remaining ingredients and process until everything is in small bits. If the mixture is not coming together, add a tablespoon or two of water. Dump the mixture into the prepared pan and gently spread and pat it down until it reaches all sides and is fairly even. Wrap in parchment paper and place in the refrigerator for a few hours before slicing. The fresh produce at this time of year makes eating local and healthy a lot easier! Weekly visits to the local Farmer’s Market reveal different fruits, vegetables and berries that are jam-packed with flavour. At this time of year, you can make your fresh berries go a lot further by transforming them into jams or compotes. 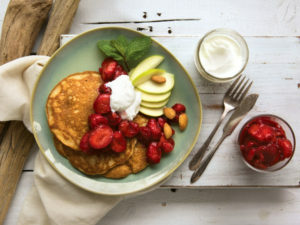 This delicious recipe from Alive magazine features a Strawberry Anise Compote on top of Grain-Free 4-Coconut Pancakes. Yum. We are well into Spring now, and if you have to the lake you’ll probably have had an encounter or two with mosquitoes! This past week has been great for mosquitoes as it’s been cool and damp. There are a lot of you out there who are looking for natural alternatives to protect yourself from them. In store, we carry Mozi-Q. It’s a homeopathic remedy used for reducing the frequency and severity of insect bites. Mozi-Q tablets contain a formula with 5 homeopathic remedies that help keep the bugs away. Are you suffering from seasonal allergies? Do you have itchy, eyes, a runny nose and feeling generally tired? Bioenergetics can help you find relief! Call us today to book an appointment with Moragh Lippert, RHN, Registered Bioenergetics Practitioner. She will help find the best solution for you! Making your own cleaning products for the kitchen is both economical and good for your health. When you’re using baking soda, vinegar, and water, you can feel pretty confident that the cleaning you’re doing isn’t hurting you or the environment. All-Purpose Cleaner Using funnel, put 1 teaspoon baking soda, 1/2 teaspoon dish soap, and 2 tablespoons vinegar into your spray bottle. Give it a stir/shake. Let it sit for a minute, now fill bottle with warm water and shake it up. Give it a few more minutes to calm down, and add a few drops of essential oil if desired. Garbage Disposal Freshener Take the pulp from a lemon (preferably one you’ve squeezed to use for something else) and toss it in the garbage disposal, along with a few thin strips of the peel. Run water and turn on disposal. Sink or Stovetop Cleaner Put a 1/3 cup baking soda in a bowl. Mix in enough warm water so that you get a nice moist paste. Put paste on sponge or brush and scrub away. Make it as you need it. 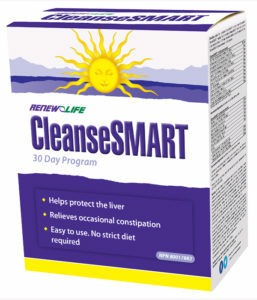 We put together this blog post for you so that you can learn more about Renewlife cleanses, and which one would work best for you depending on what you’ve done in the past and how much time you have to dedicate to your cleanse. 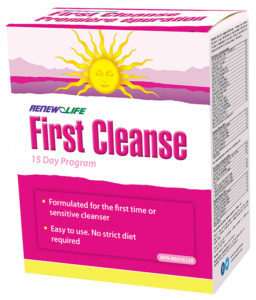 First Cleanse is a 15 day total body herbal cleanse, formulated specifically for the ‘first time’ or ‘sensitive’ cleanser. First Cleanse is strong enough to be effective, yet gentle enough ease the body into the process of cleansing and detoxification. With the amount of toxins we encounter every day, cleansing is no longer an option, it’s a necessity. First Cleanse is designed to stimulate the body’s 7 channels of elimination: liver, lungs, colon, kidneys, blood, skin, and lymphatic system. First Cleanse is designed to work regardless of diet or lifestyle making it the perfect introductory cleanse. 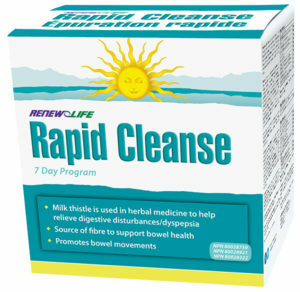 Rapid Cleanse is a therapeutic strength cleansing program that works to cleanse and detoxify your entire body in 7 days. It’s perfect for those that only wish to perform a short term cleansing program, would like to cleanse to jumpstart weight loss or those individuals who would prefer to do a shorter cleanse but demand results. Rapid Cleanse contains three parts. The morning formula focusses strongly on the liver and kidneys while the evening formula cleanses the colon without the use of harsh laxatives. 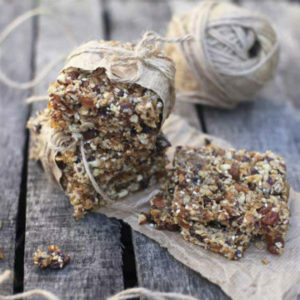 The third part is a daily dosage of fibre to help absorb and eliminate any released toxins from the body. Stock up for summer, the cottage and camping; use safe sunscreen to protect your family. It’s easy to feel overwhelmed when it comes to selecting a safe, ecofriendly, healthy sunscreen that will protect your skin from the sun’s damaging rays and not leave you looking like you’re eager for Halloween to get here! In your search, it’s important to note that there are two different types of sunscreen: “Physical Barrier” or mineral sunscreens, and “Chemical Barrier” sunscreens. Physical Barrier sunscreens create a reflective surface on the skin that disperses the UV light off of the skin’s surface. Chemical Barrier sunscreens contain chemicals that can absorb the UV light before it damages the skin. When you see a “Broad Spectrum” sunscreen it means that there are multiple active chemical ingredients working synergistically to absorb the UV light. This however, means that there are multiple health hazards associated with this chemical exposure. When picking a sunscreen there are two safe and effective ingredients that you need to look for: Zinc oxide and Titanium oxide. These are the “active” ingredients contained in physical barrier/mineral sunscreens. These contain nanoparticles that cannot absorb through the skin, but if inhaled they can enter the bloodstream through the lungs. Inhalation of these nanoparticles happens when you use a sunscreen that is in the form of a spray or aerosol. Nanoparticles are what result when you break down zinc oxide and titanium oxide into small particles that will not be seen on the body, giving you a sunscreen that does not appear white on the skin. At Body of Health we have spray mineral sunscreens that are nanoparticle free such as The Green Beaver Company’s Mineral Sunscreen Spray, which is not white and does not leave a sticky pasty residue on the skin. Remember that your skin is a permeable barrier that absorbs whatever you put on it. If it is chemicals, these chemicals end up circulating through your bloodstream and eventually require detoxification/filtering by your liver and kidneys, but not before they have access to your cells causing alterations to your body’s natural chemistry. Whenever in doubt about any of your body care products refer to EWG.org. They have a very comprehensive database where you can check out the safety of your body products for both your body and the environment. 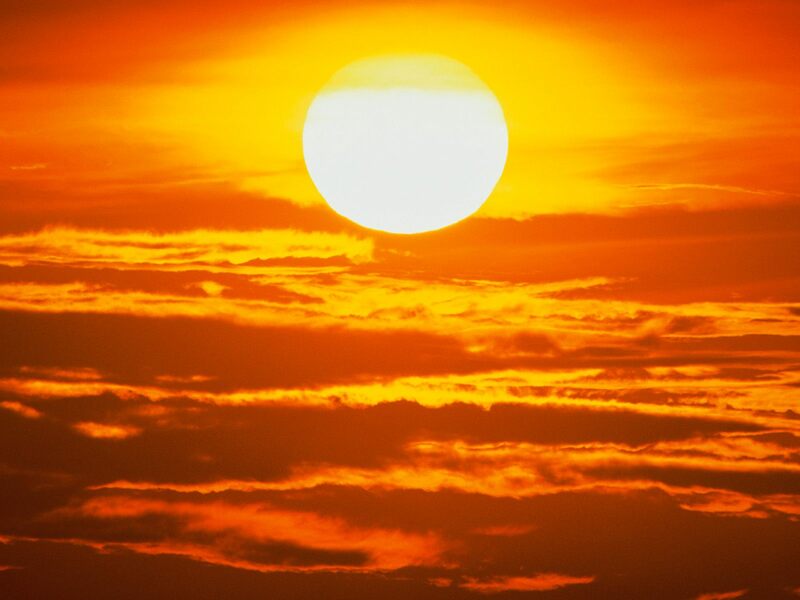 All that said, don’t forget that you also need adequate amounts of Vitamin D to stay healthy, so before you lather on your sunscreen spend a few minutes soaking up this sunshine vitamin!